We are waiting for the Google Pixel 3 Lite and Pixel 3 XL Lite to be launched. The two devices are said to offer flagship features at a relatively affordable price. While some reports have suggested that Google will be taking wraps off the two affordable smartphones at its I/O 2019 conference, others are not very specific and have only said that the devices will be launched in the middle of 2019. While fans have been waiting for Pixel 3 XL and Pixel 3 XL Lite, a new smartphone by Google has surfaced online on Geekbench. And, the smartphone holds the name Google Pixel 4 on it. Yes, that’s correct. 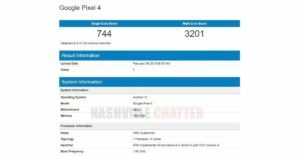 While we were trying to figure out what exactly Pixel 3 XL and Pixel 3 XL Lite will be like via various leaks and reports, Google Pixel 4 got spotted online by Nashville Chatter. We should also mention that Google Pixel 4 smartphone also carries the codename Sargo, which was earlier also used for Pixel 3 Lite devices. And we all know that Google always opts for fish names when it comes keeping codenames for its smartphones. While we still don’t know about the processor of the smartphone or its camera specifications, we have learnt of some information via the leak that may surprise some. To begin with, Google Pixel 4 smartphone, according to the listing, will sport 2GB of RAM and run on the upcoming Android 10. Since the device has shown up on Geekbench, we should mention its scores too. It scored a 744 in the single core score and managed a 3201 in the multi-core score. If we go by these, we can’t really be sure if a powerful chipset from Qualcomm’s Snapdragon 800 series has been used. Having said that, we should point out that the chances of this leaked information can be false, and the smartphone that has shown up may just be a prototype. 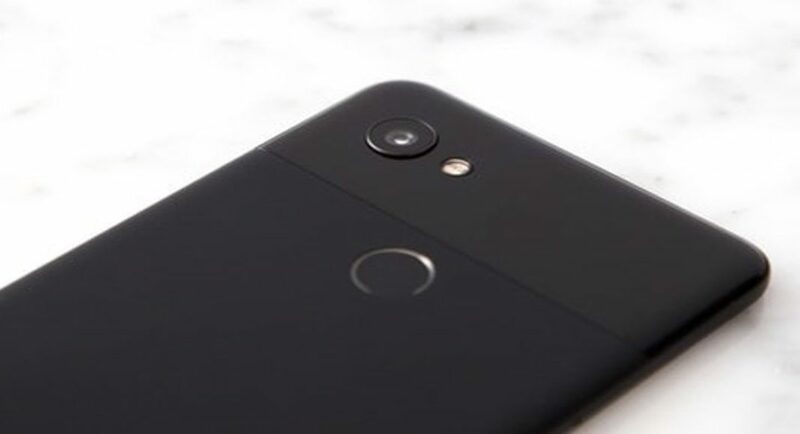 Another possibility is that this smartphone is actually Google Pixel 3 Lite or Pixel 3a – basically a cheaper Pixel device. Two things point towards this possibility. Firstly, other leaks related to Pixel 3 Lite also carried the codename ‘Sargo’. And secondly, specifications like 2GB RAM and the aforementioned Geekbench score, cannot really belong to a flagship smartphone. With these two things in mind, we can assume that this is an affordable smartphone by Google. However, even is the device is a mid-ranger, 2GB RAM is not exactly reasonable. If the leak is correct, we suspect Google would be banking on its software optimization to offer a smooth experience to its users. The possibility of the smartphone being a prototype unit cannot also be ruled out, as it may just be a smartphone to demonstrate the Android 10 experience before the Android update is released for the public.